The chequed boss from the car wash is forcing you to catch and fire balls pver a wall to appease his love of both balls, walls and healthy condition. What do you want? A good story or a good game? Destroy your neighbors platform and bring him down to earth by throwing fireballs at him. Aim and fire the balls over the wall catch opponents balls and destroy the platforms to win. 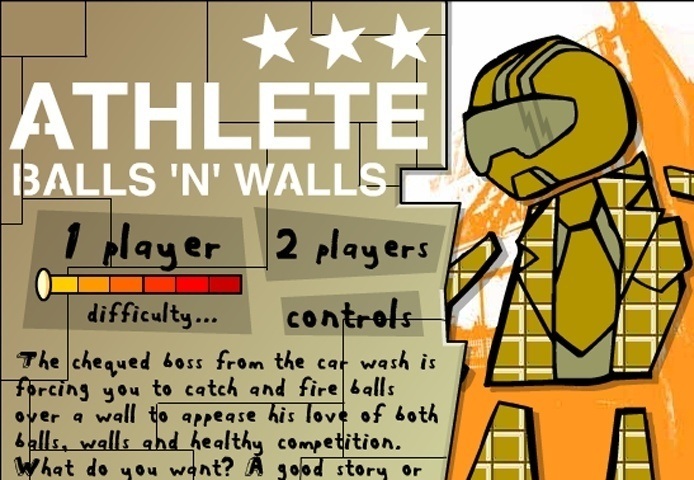 If you want to play Athlete Balls And Walls games online you have come to the right place! GamesLoon adds new Athlete Balls And Walls games every week. This is your game portal where you can find the biggest collection of free Athlete Balls And Walls games online. Do not forget to rate our Athlete Balls And Walls free online games while playing!